Triopo has introduced three new radio-enabled flashes that are powered by lithium-ion batteries: the L400, L880 and G1800. 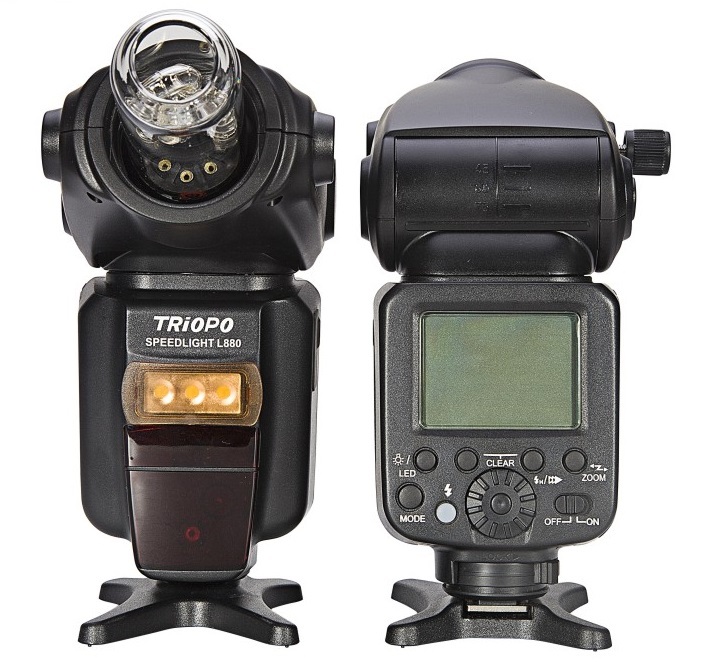 Chinese tripod and flash manufacturer Triopo has unveiled several new flashguns powered by lithium ion batteries. The trend for flashes powered by lithium-ion battery packs—rather than AA batteries—was started by the Godox Ving series and has been followed by the Pixel X900C, Yongnuo YN686EX-RT, Meike MK420 and Triopo’s own L870. Hybrid flashes like the Godox Witstro AD200, SMDV BRiHT-360 and Bresser SJS-200 are also lithium-fuelled, as are many larger location lighting systems. 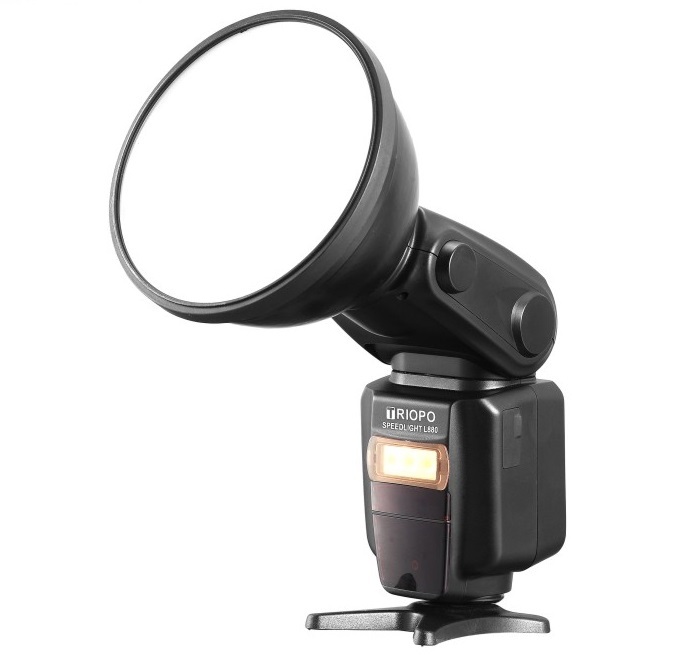 Now Triopo has added the L880, a bare-bulb flash with an LED modelling lamp and removable lithium battery pack. It is effectively the head of the TR180—aka Sunpak 120J II—transplanted onto the body of the L870, a conventional Li-ion flash with an LED lamp. Specifications, on paper at least, are impressive, with the Triopo L880 boasting an energy rating of 180Ws, with E-TTL and i-TTL support (both on the same hotshoe foot), 450 flashes from a single charge and a recycle time from 0.05 to 3 seconds. It runs on the removable Triopo LE-26 battery. The flash weighs 550 grams and measures 70 × 90 × 255mm, excluding the flash tube and reflector. Wireless support for Triopo’s new 2.4 GHz “Q” system is built-in, making the Triopo L880 compatible with the Q3 TTL transceiver trigger for Canon and Nikon, the Q1 flash controller, and the F-series and T-series TTL studio heads. The Triopo L880 has a manufacturer-suggested price of 1580 Chinese yuan, or $240 (£180). 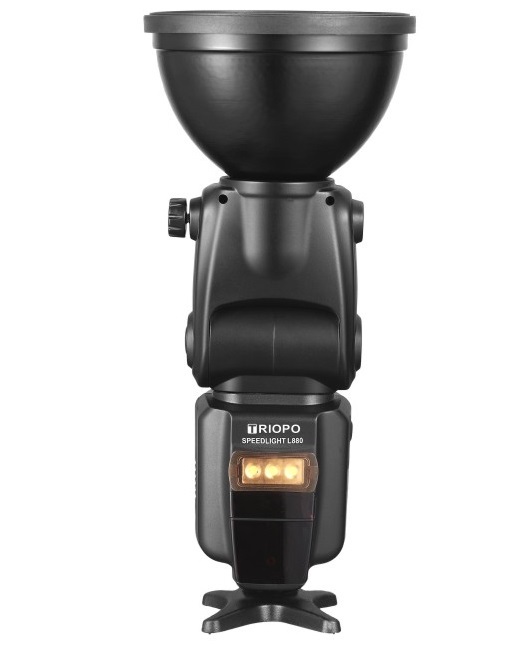 If that wasn’t enough bare-bulb for your buck, you can also have a look at the new Triopo L400, which is a 360Ws bare-bulb flash powered by an external battery pack. It seems to compete directly with the Godox Witstro AD360II. Like the L880, the L400 also has an LED lamp under the flash tube, but this one looks a bit more heavy-duty. A full-power flash (450 to a charge) recycles in 4.5 seconds, the head weighs 780 grams and measures 85 × 95 &times 225mm, without flash tube or reflector. Canon E-TTL and Nikon i-TTL are supported. A wide range of accessories will be compatible via a special S-type bayonet mounting bracket. Pricing has not been revealed and for some reason most of the photos we have of the device look like they were scanned from a magazine in 1997. If you spot it on sale anywhere, leave a comment below. 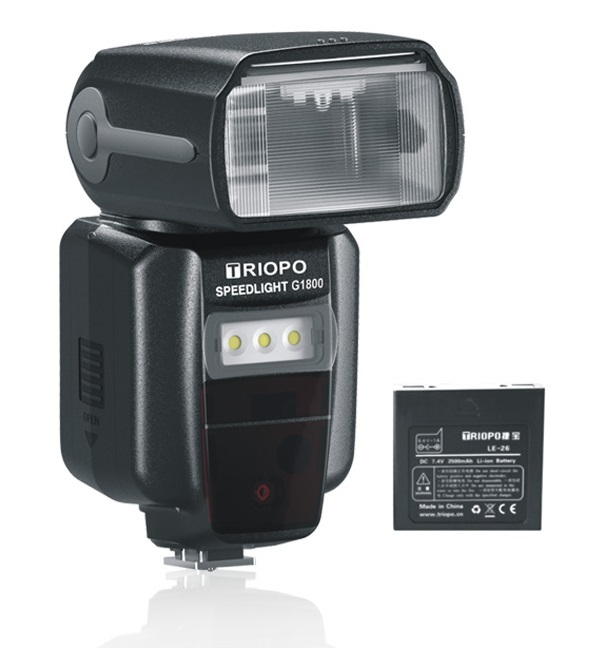 The final lithium-ion flash Triopo has added this year is the G1800. 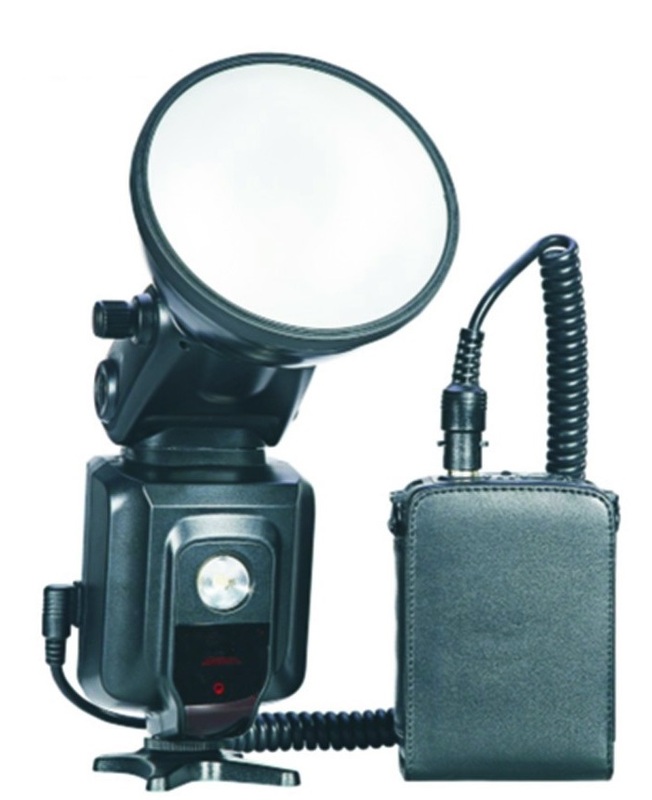 It is a conventional speedlight compatible with the company’s G-series flash triggers. The pricing is 1200 yuan, or $183 (£136). For more information, visit the Triopo web site.